Tulsa Ballet is a vibrant and growing non-profit arts organization that seeks to achieve excellence in all its artistic endeavors. We are known for the great care we take in producing excellent dance performances and being one of the most well-run ballet companies in the United States. Our focus on excellence and achievement makes for an enriching work environment where you will be challenged every day to produce your best work. We believe in delivering the best product for our audiences and understand that it takes the hard work and dedication of each and every team member within the organization to accomplish that. Tulsa Ballet is an Equal Opportunity Employer. Tulsa Ballet seeks an experienced Director of Finance, responsible for oversight of all finance, accounting and reporting activities including functional responsibility over accounting, accounts payable, accounts receivable, and payroll. Requirements: Bachelor’s Degree in Accounting or Finance with seven to ten years experience managing all financial operations. Excellent computer skills, specifically Microsoft Office Suite and general ledger, payroll and reporting softwares. Strong interpersonal and communication skills; experience in effectively communicating key data, including presentations to senior management and the board of directors. View the full job description HERE. Send materials to employment@tulsaballet.org. EOE. No phone calls please. Tulsa Ballet is seeking a highly creative, energetic and experienced individual to lead our Marketing team. The Director of Marketing serves as a member of the senior management team to develop short and long range plans to promote awareness and create demand for all Tulsa Ballet programs, ensure audience growth in revenue and number of patrons, and foster patron development. Click HERE to read the full job description. To apply, email your resume and references to human.resources@tulsaballet.org. No phone calls please. Tulsa Ballet is seeking a Head of Costumes. The Head of Costumes is responsible for the overall operation of the costume shop including design integration, construction, fitting, repairing, cleaning, storing, and cataloging of costumes. The Head also manages all aspects of wardrobe and theatrical costume during all performances, including presentations by the main company, educational and marketing services. Click HERE to read the full job description. To apply, email your resume and references to Jack Mehler: jack@jackmehlerdesign.com . No phone calls please. 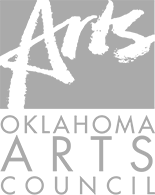 Tulsa Ballet is seeking a Company and School Pianist. Duties include: playing daily technique classes for the Tulsa Ballet Company and Tulsa Ballet Center for Dance Education; playing rehearsals for repertory performed live by company; supervising pianists for the Tulsa Ballet Center for Dance Education; solo pianist for company and school performances; sound board operator for school performances. Qualifications include: Bachelor’s degree in music; previous experience as a ballet class pianist; ability to learn piano reductions of ballet scores; ability to work with other staff amicably under tight deadlines; experience in sound engineering is preferred. To apply, please email your resume in MS Word or PDF format to Andrew.Lahti@tulsaballet.org. No phone calls please. Tulsa Ballet Center for Dance Education is seeking qualified Ballet and Jazz Instructors (part-time) to teach at our Brookside and Hardesty campuses. Click HERE to read the full job description. To apply, please send your resume to education@tulsaballet.org. No phone calls, please. Tulsa Ballet is seeking pianists wanting to explore the world of ballet and dance accompaniment. Applicants must have 5 years piano experience, preferably in the classical study. Duties will be providing accompaniment for pre-professional ballet classes at Tulsa Ballet Center for Dance Education at both the Brookside and Broken Arrow campuses. Classes are held weekday afternoons and evenings and Saturday mornings. Hours are flexible and great for college students or teachers. No ballet accompaniment experience necessary, training will be provided. To apply, contact Andrew Lahti at: 918.749.6030 ext. 266 or andrew.lahti@tulsaballet.org.